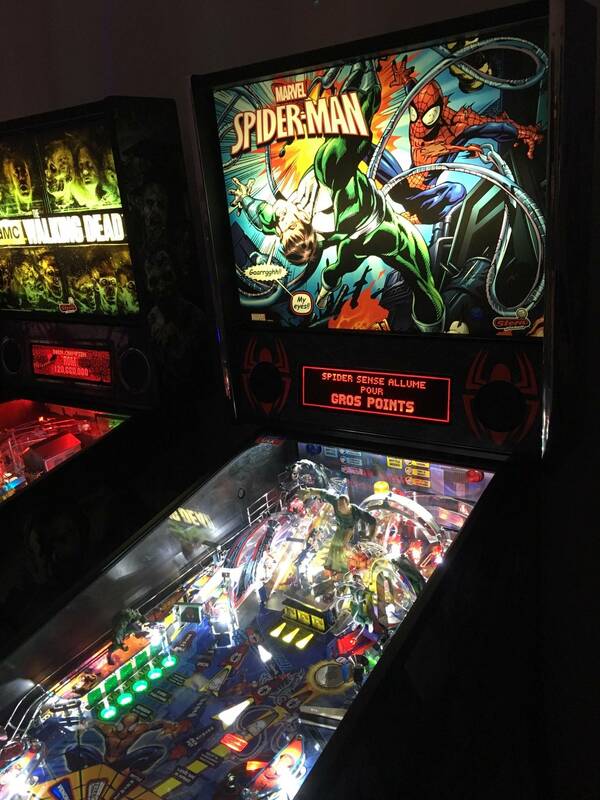 » Forum » Game manufacturers » Stern Pinball » Spiderman vault ... good game? 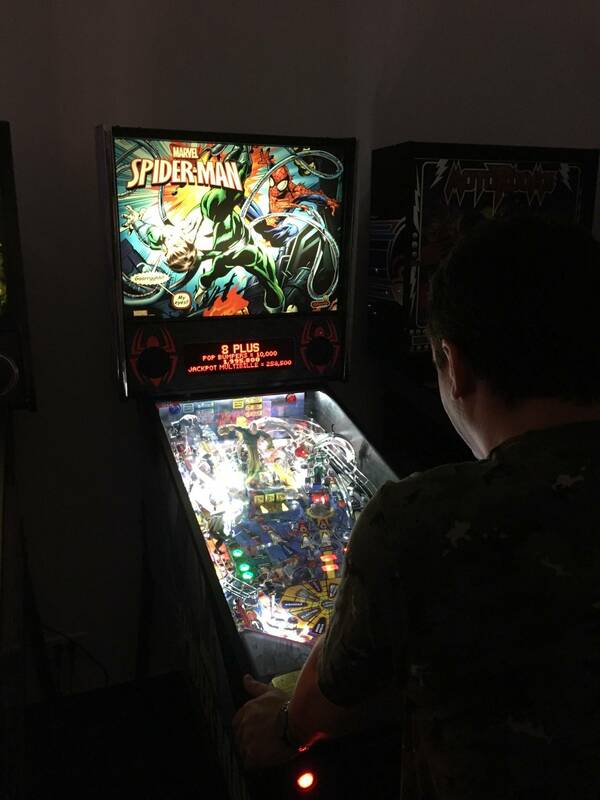 » Spiderman vault ... good game? Spiderman vault ... good game? Can owners of the spiderman vault tell me if they are happy? 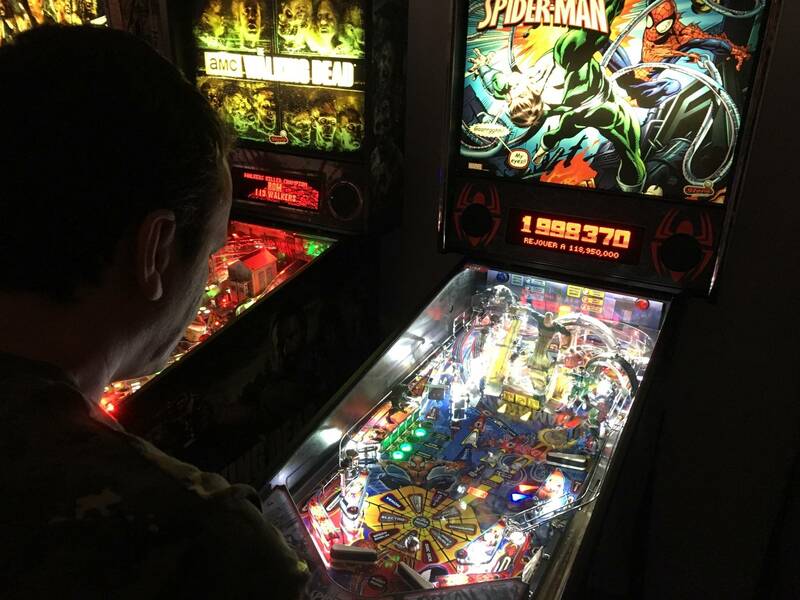 Are there any problems with the playfield as with the ghostbuster? SMVE had ghosting issues like GB did, but those issues seem to have been rectified. Most of the complaints about SMVE have been that the game has be done before and people want something fresher. If you are not in this mindset, SMVE is a good game to have. Got to remember this is an International website. The following is what was translated. Me too I would like a Spider-Man Vault Edition without ghosting of course. I personally prefer the earlier version of Spider-Man the call-outs are different the visuals are different and it plays from the theme referenced from the movies. If you liked your Wolverine X-Men a lot you'll probably like the Vault Edition it's cartoony with the call outs and the comic characters not the movie characters. Best mod ever for SMVE is a ColorDMD. Check out the video preview on the webpage. If you liked your Wolverine X-Men a lot you'll probably like the Vault Edition it's cartoony with the call outs and the comic characters not the movie characters. Do we know the number of copies produced? I think SMVE is a great game. Owned both and prefer it over the original. Obviously both great, but SMVE has some pretty nice upgrades. Agree that a Color DMD is a must and get a piece of Stern HD glass too. Both great upgrades. With that said my PF was really quite bad with ghosting out of the box. 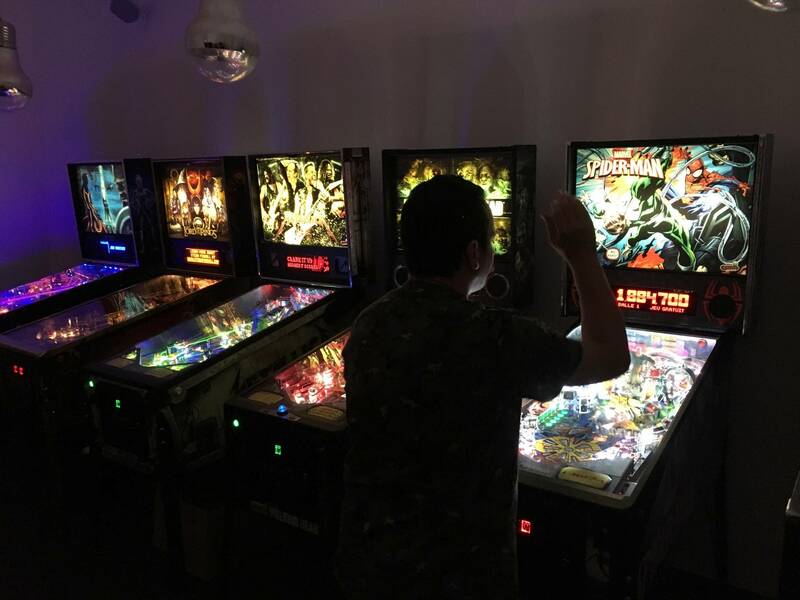 I took pictures sent them to Stern and was approved for a replacement playfield. Not sure, but I imagine pretty low. Biggest reason is the MSRP when an original can be had for considerably less. The game is based on Ultimate Spiderman cartoon. My son watches it. I prefer it over the original by far because of this. Game isnt anywhere near as deep coded as Xmen though. Xmen has more strategy and just more overall to do then SM. SM shoots alot better then Xmen though, at least better then the LE versions of Xmen. I owned the original twice but just couldn't get past the movie theme, call outs, art, dots. Vault fixes all that and more. Game Is easier than XMEN but has more breadth in the rules and scoring. I suggest removing the center drain post to help level out the rules vs difficulty. Summer 2016 builds seemed to be the culprit of ghosting issues. Mines a NOV 2016 build with no real playfield or cabinet issues so if you buy new, shoot for a late 2016 or 2017 build. Game isnt anywhere near as deep coded as Xmen though. Xmen has more strategy and just more overall to do then SM. SM shoots alot better then Xmen though, at least better then the LE versions of Xmen. For me, the rules of xmen are as complex as the rules of the Lord. I loved having the xmen. This one could not be simpler. SMVE is a good game, if you liked Spiderman before. If you did not like Spiderman before, the changes will not make you change your mind. My opinion: Spidey is one of Stern's best and deepest...if not hardest...titles yet. I love the game, probably my favorite of the Stern titles I have/had. Mine has ghosting and I've been told I'm on the list for replacement playfield. I enjoy playing it all the time, love the rules. That's my machine in the video. PinballSuperNova does a great job filming fixes, mods and unboxings. Are you happy with your spiderman ? SMVE is my favorite game. Great flow. Ramps are buttery. Venom shot it satisfying and gives you 2 seconds to celebrate after hitting it compared to the quick flipping during the wrap shot on St. Wrap shot is fun, but I like Venom better. Love the AFM shot up the middle. I feel Color dmd is one of the best out there. Xmen is really good also. I played TWD again last weekend and really liked that on also. Long ball times but the game is so fun I don't want it to end. Enjoy it! Sorry can't say about the vault, but SM is a great game. I owned red one for 18 months sold to get Tspp. But after 18 months I got SM back in my collection and really like it. Particularly because its rules are so easy, and I can get 70-90% of the way to BR on almost every game but only make it there except like 5% so there is always some tense moments where I'm on the edge and need to complete one mode or another. It's got a good balance of easy and hard to the rules. That aspect reminds me of Tron in that it's simple to do yet hard (for me) to get to SOS and I've yet to be to Portal (or SH on Spiderman). The rules and call outs make the game great. I'm not sure vault since the call outs are different but the dmd display animations are way better on the vault. I kind of dig the old game because of the movie quotes and the major actors like Willem DeFoe and JK Simmons etc.. the vault voices seems like XM voice actors which I was ok with, but give me movie quotes like IM, Tron, and SM when done right. I'd prefer the vault being new and better lit, but I happened to find a old SM that was in 99% shape so the only thing I really need to work on is the LEDs. It was done by the prior owner but cheap old LEDs so I need to work on getting them all replaced. Color DMD is great too, the main reason I sold the old SM was because the DMD was so bad before the color DMD was released. You misunderstood...or I wrote it up wrong. Even the representation of the character figurines take after the comic. Venom looks so much more badass on the Vault Edition. 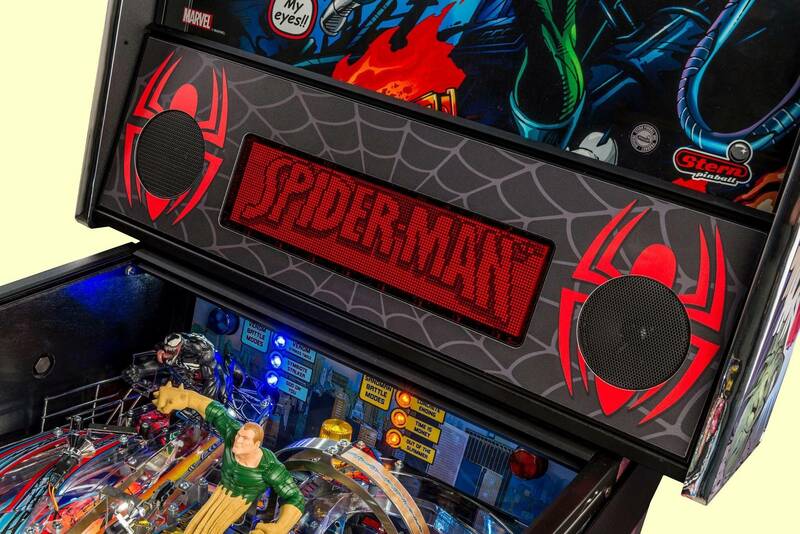 What system did Stern use for Vault Spidey? Just trying to figure out if I can use pinball browser with a USB? SAM. 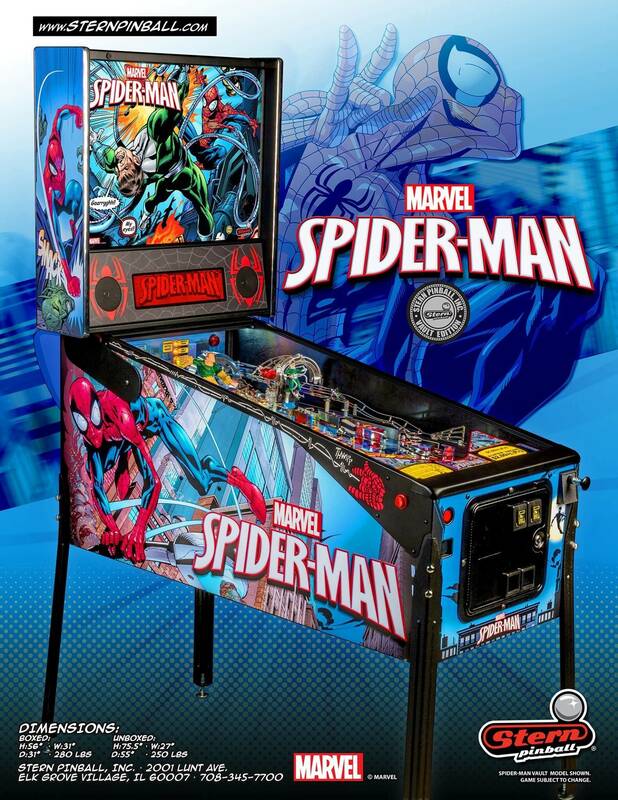 So Yea you can pinball browser it. Congrats. ColorDMD on order already? Until you see the ColorDMD for the vault edition. One of the best colored displays done yet in my opinion. You mean these videos in color do not excite you at all? I have the color dmd and SMVE has to be one of the best. Great mod you can move from game to game anyway. Get one. LED or LCD model ? I’m putting the LED in mine.